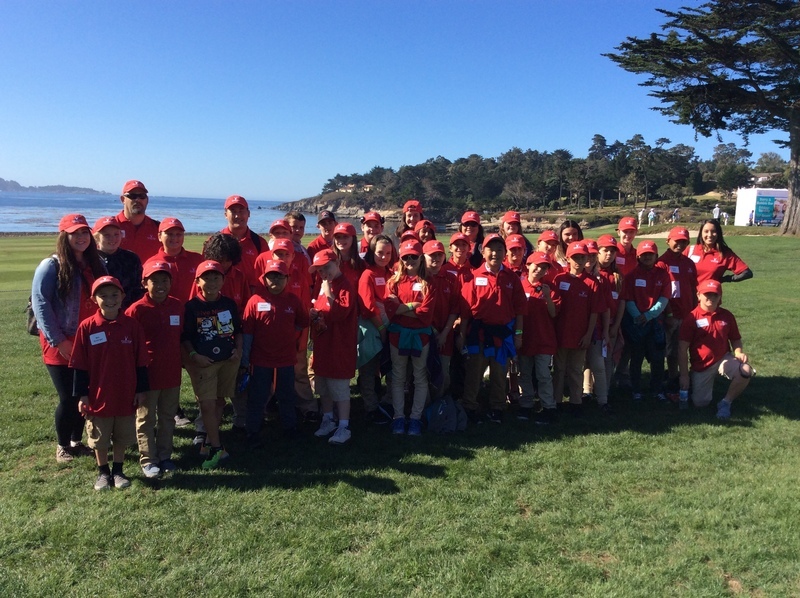 Forty two students representing Bangor Elementary School District and various BCOE Expanded Learning Programs traveled to Monterrey, CA on Saturday, September 23 to attend Pure Championship First Tee Open at Pebble Beach Golf Course. Students who attended the field trip have been participating in First Tee DRIVE curriculum at their respective after school program. Students and chaperones enjoyed a day on the links, complimentary lunch, and 2 hours in the Chevron STEM Center where they participated in activities that linked Science, Technology and Math to sports. "I learned about what happens when your vision is impaired and you try to hit a golf ball," said Bryce McDowell, 4th grader, Bangor Elementary School, of the the STEM Center. 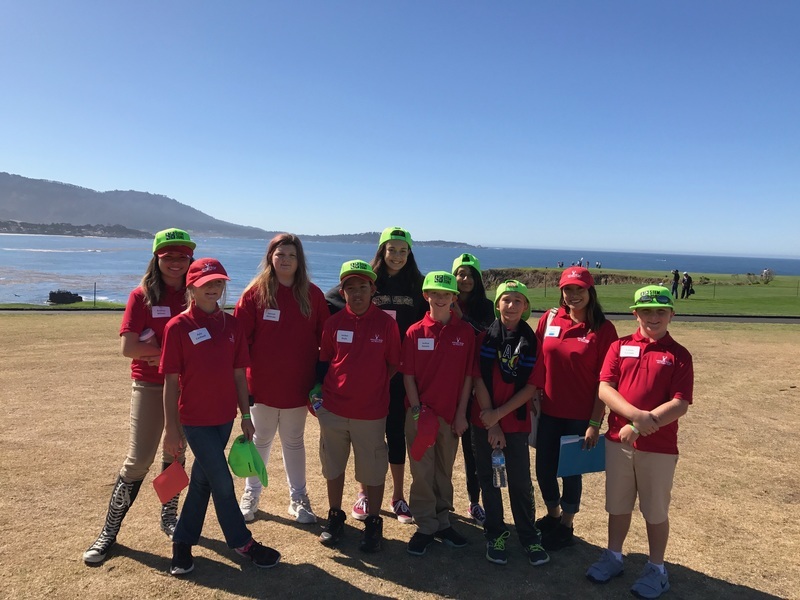 The lucky students from Bangor Elementary School and BCOE Expanded Learning Program who got to experience Pebble Beach and Chevron STEM Center. Students check out some of the golf pros as they take their shot on the green. The great big Pacific Ocean - so beautiful! Bangor Elementary School District Board Member, Rob Rominger, helps his students to understand slope and acceleration at the Chevron STEM Center. Expanded Learning coordinators, Barbara Clark and Julie Hollingshead, helped to make the bus ride a blast for students. Student Events Intern, Kelly Negrete, with her group of excited young people.